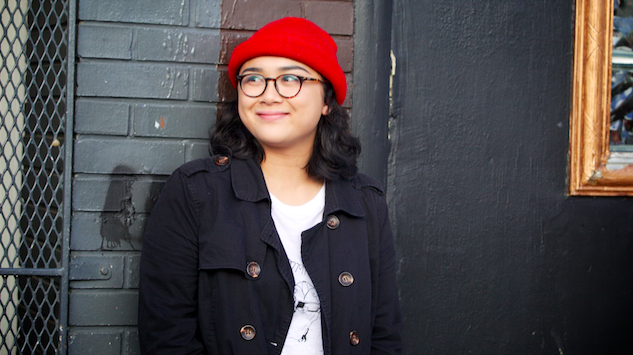 Daily Dose: Jay Som, "Turn The Other Cheek"
Jay Som’s “Turn The Other Cheek” technically came out in May of 2017, as part of the Our First 100 Days compilation, a collection of 100 songs from 100 artists that were released following Trump’s first 100 days in office. All profits raised from the project would go to benefit causes that, even then, were threatened by Trump’s policies: the climate, women’s rights, immigration and fairness. The songs were available only as part of a package deal: You pay $30, you get 100 songs. Today (Dec. 14) marks the first time “Turn The Other Cheek” is widely available for streaming, and it offers a jarring chance to reflect on how much worse things have gotten since those first 100 days. It’s hard to believe that there was once a time when the depravity of the administration could still surprise us, before the knowledge of child detention camps and apocalyptic climate policies and overwhelmingly illegal campaign activities were commonplace. Listen to “Turn The Other Cheek” below and read more about the Our First 100 Days project here.